We feel strongly that part of our mission is to offer the congregation, the city, and the Hyde Park community an opportunity to participate in a wide variety of quality music programs. We are proud of our historic and newly restored 3-manual, 40-rank E.M. Skinner organ in our sanctuary, as well as the Schlicker neo-baroque organ in Hull Chapel. Special choir concerts, evening and Sunday concerts with top local musicians, and a great deal of music during our regular Sunday services bring the joy of music to many church events. For more information, please contact Music Director Jeff Hamrick at music@firstuchicago.org. This non-auditioned ensemble sings for services three times a month from September through June under the leadership of Music Director Jeff Hamrick. This choir sings in a variety of musical styles and languages. Rehearsals are held every Wednesday evening from 7:00-9:00 pm in the choir room, and new members are always welcome to join. If you are interested in participating, please contact Jeff at music@firstuchicago.org. Singing Meditation is an interfaith spiritual practice that combines repetitive rounds, mantras, and harmony group singing, followed by periods of silence. The combining of the two practices of singing and silence results in a synergy that enhances each component. 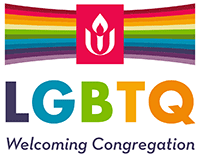 Singing Meditation will be offered at First Unitarian Church quarterly, and is included in some worship services. First Unitarian is the original home and founding institution of the internationally renowned Chicago Children’s Choir. We occasionally invite neighborhood chapters of the Chicago Children’s Choir to perform for our worship services, including in October for the organization’s annual birthday celebration. For more information about this choir, please connect to First U’s CCC Boosters. 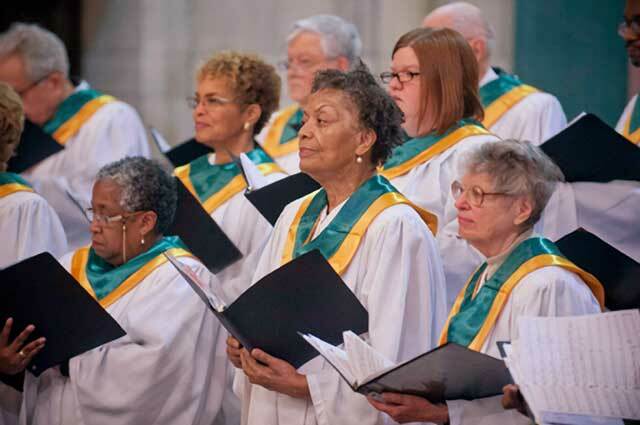 The music of our UU faith draws from many faith traditions, and cultures. We strive to include participants of all ages and abilities in the music at First Unitarian. The Great Choir is a volunteer choir with singers of every age, and sings about three times each year. The purpose of this group is to promote joy and unity through music. Repertoire for this group consists of unison music, or music with simple harmonies, which will allows voices of all abilities to sing together. Rehearsal time is at 9:00 am before the Sunday service. If you are interested in participating, please contact Jeff at music@firstuchicago.org. Several times a year, First U is host to these participatory events. Dances of Universal Peace bring people together in joyous and meditative dance circles, and in singing or chanting sacred phrases from many spiritual traditions. For more information, please see the events page.